On the 25th October at 1pm in the Watercolour Gallery, the Harris Museum & Art Gallery hosted a lunchtime talk by Lubaina Himid in which she discussed her latest archive intervention and curatorial project. Moments that Matter : Trophy Cups is collaboration between WE PLAY EXPO Harris Museum & Art Gallery and artists Lubaina Himid, Rebecca Chesney, Susan Walsh and Denise Swanson. Thousands of people in the North West have been directly involved in sporting and creative projects connected with the London 2012 Olympics. The impact of this participation was often very signicant and the memories will last for years for many people. This archive project by international artist Lubaina Himid, Professor of Contemporary Art at UCLan, visualises 45 of their stories in a series called Moments that Matter. Each of the 45 Trophy Cups painted on paper is individually made using the unique words and descriptions shared by participants with the artist. 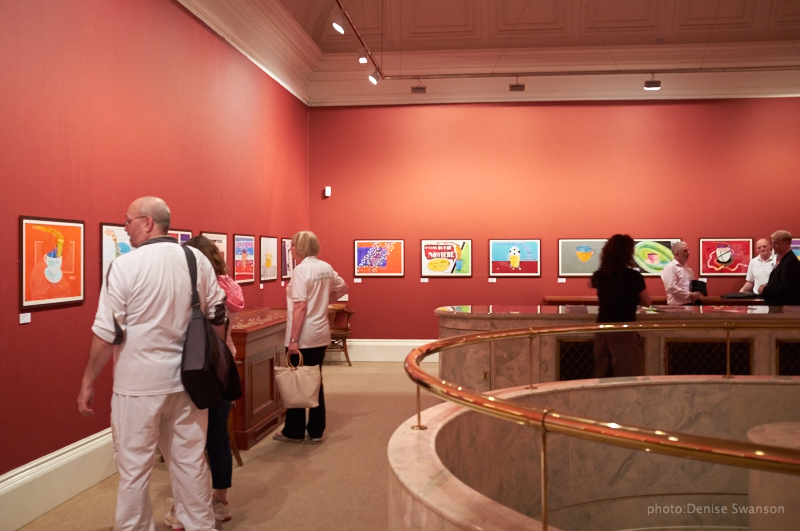 These paintings are shown along with two small artworks around creativity and sport in addition to a display of working drawings and research material. These in turn are seen alongside contemporary maps by Susan Walsh and Rebecca Chesney depicting hidden treasures and untold stories from across Preston. 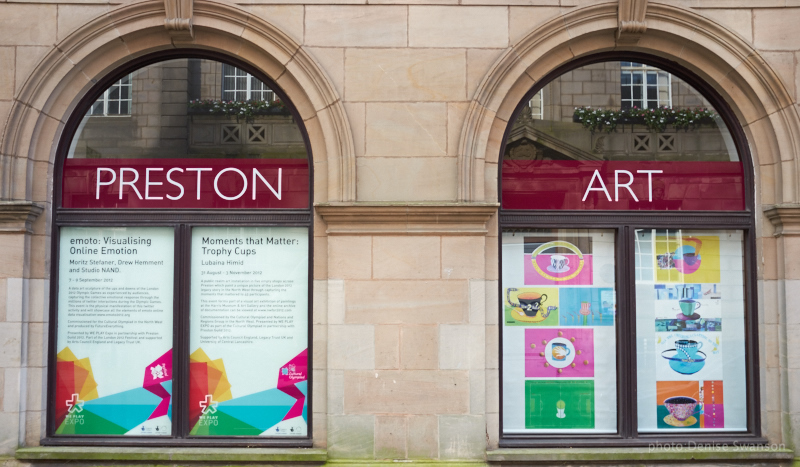 Audiences were able to view Moments that Matter banners in the shop windows of Preston.